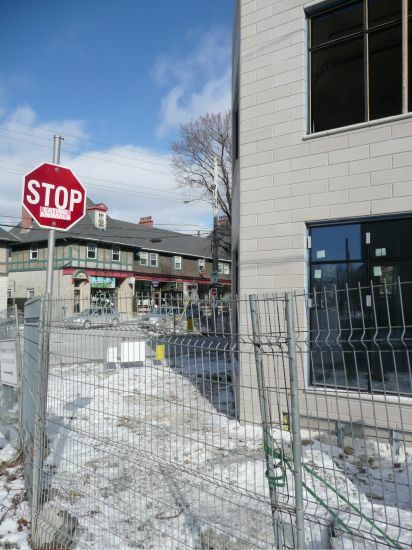 Once construction is complete Starbucks will open its doors in the heart of the Hydrostone. 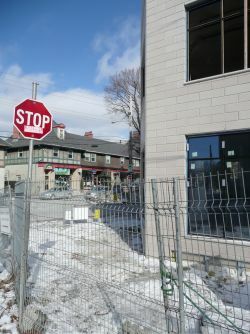 Many small business owners in the Hydrostone are confident that their superior product will keep customers loyal to local java. Submitted by Grey city (not verified) on Sat, 02/27/2010 - 14:20. Submitted by Starbucks insider (not verified) on Wed, 03/10/2010 - 15:34. I'm sure someone reading this will think that I've been 'brain-washed' by a heartless, corporate monster, but if most people took the time to truly learn about what Starbucks offers its partners, communities, and the values by which it drives its business, then people might also make a more informed decisision as to whther or not they truly disagree with what Starbucks is. Is Starbucks perfect? I would say no. Am I perfect? Again I would say no. Are YOU perfect? You be the judge of that, but I would hazard a guess that the answer just might be 'no' as well. Do you have to shop at Starbucks? No, but do not hate on those who choose to. I sometimes choose to check out the uniqueness of some independently owned and operated cafes to see for myself what individuality and creativity exists in the coffee world - and I love some, and have chosen not to go back to others. But when I want a cup of coffee or a latte and do not want to compromise freshness, or quality, I know I can go into most any Starbucks and get what I am looking for. Thanks for appreciating my point of view. Submitted by Halifax Anonymous (not verified) on Mon, 04/05/2010 - 16:42.
the information suppiled in by the shopkeepers in this broadcast was just plain uninformed. Do some research before you start slamming a company that is going out of its way to offer an ethical product while keeping up with demand. Submitted by Alain (not verified) on Thu, 05/20/2010 - 13:24. Submitted by 2moons dil (not verified) on Tue, 10/19/2010 - 21:08.